The agency that manages the Thrift Savings Plan moved a step forward Wednesday toward eventually allowing participants to invest some of their money in mutual funds of their choosing. Greg Long, executive director of the Federal Retirement Thrift Investment Board, will recommend that the board “conceptually support” creating a mutual fund window option for TSP enrollees in addition to the plan’s current five core funds and five lifecycle offerings. That means the TSP board will do more homework on the idea, crafting a detailed implementation plan in 2015, including costs, risks and a timetable for potentially rolling out the new option. Even if the board decides to add mutual funds to the TSP line-up, it likely won’t be available to participants for at least another year, probably longer. Long said the agency favors moving forward with a mutual fund window for TSP participants because there is a demand among participants for greater investment flexibility, and more options means participants will stay enrolled in the TSP longer, instead of parking their money elsewhere. Twenty-three percent of TSP participants who took a post-separation withdrawal in the first half of the year cited investment flexibility as the reason. TSP officials also found that 45 percent of participants who left their federal jobs in 2012 withdrew their entire account within the next year -- a total of $10 billion in 2013. Long, who said he has struggled over whether to offer mutual funds, said the survey results were a crucial data point. “What is changing my mind was the behavior that we’ve seen among people who are leaving the plan,” he said during Wednesday’s meeting with the Employee Thrift Advisory Council, which includes representatives from several federal employee advocacy groups. “They are effectively firing us. Once they separate, the 45 percent are firing us to go elsewhere, and a substantial reason for that is for investment flexibility.” Long said that, hypothetically, if the mutual fund window had existed in 2012 and improved retention by 10 percent, $1.2 billion of the money withdrawn in 2013 would still be at the TSP. Several federal employee advocates at the meeting assented to moving forward on the discussion, a departure from the trepidation some expressed about the cost of implementation and potential risks to enrollees that cropped up when the mutual fund window became a possibility in 2009. 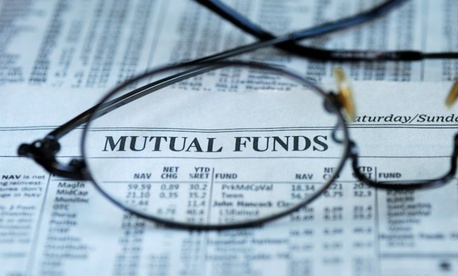 Congress gave the board the option in the 2009 TSP Enhancement Act of adding mutual funds; the board and federal employee advocates have been weighing the pros and cons of introducing the option to the TSP portfolio ever since. “This is a big deal, and this is a meaningful change that I know my board and me personally have wrestled with,” Long said. ETAC will have more opportunities to influence the final decision about whether to add the mutual fund window, Long said.